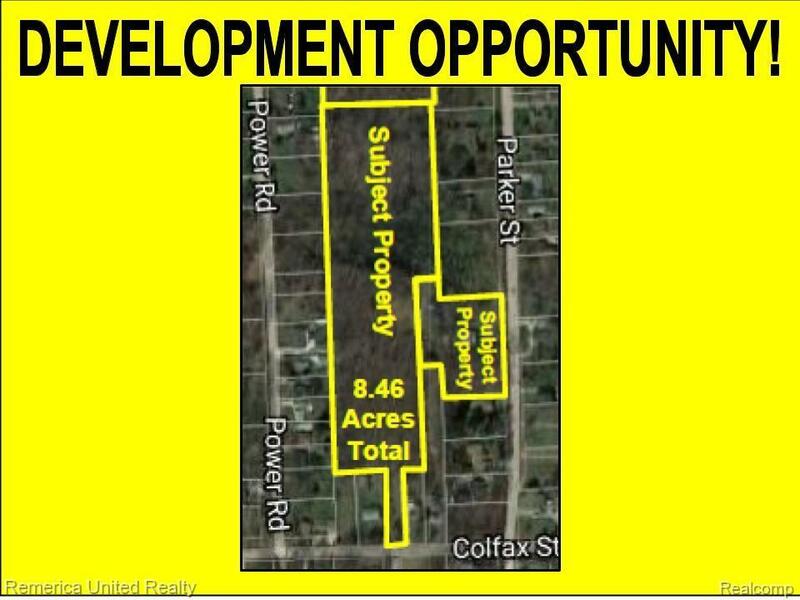 One of a kind development opportunity! 2 combined parcels 2334251028 & 2334251035 for a total acreage of approximately 8.46 acres. Neighboring property is also available for sale MLS#218056200 6.21 Acres. Possible to make a development if purchased from both owners to combine acreage 8.46+6.21=14.67 total acreage if purchased together. Based on the frontage requirements, 34-38 homes possible depending on site plan design and layout. Purchasing all available parcels could also allow for a single retention pond between parcels. For development package information call Severin, listing agent for more information.Please do not enter property without permission.